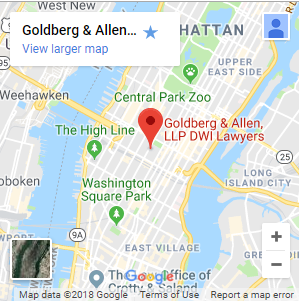 Since the founding of our law firm in 1996, Goldberg & Allen, LLP, has provided strong, dedicated representation for people accused of a wide variety of crimes. Both of our partners are former prosecutors who served as First Deputy Bureau Chief. As such, we have a deep understanding of how the government will prosecute its case against you. That means we know how to develop a defense strategy that gives you the best chance of reaching a favorable outcome in your case. We are dedicated to helping our clients understand all aspects of criminal law. We provide these articles to help you gain a more complete understanding of the issue you are facing. For a free consultation with our experienced defense lawyers, please call 212-766-3366 or send us a message using the online form.